Film studio American Zoetrope has teamed with entertainment and games industry veterans to develop a video game based on Francis Coppola’s 1979 film, Apocalypse Now. The game will be a psychological horror RPG. American Zoetrope started a Kickstarter to fund the development to maintain creative freedom and match the creative vision and artistic integrity of the film. Founder of American Zoetrope Francis Coppola says forty years ago he set out to make a personal art picture that could hopefully influence generations of viewers for years to come. “Today, I’m joined by new daredevils, a team who want to make an interactive version of Apocalypse Now, where you are Captain Benjamin Willard amidst the harsh backdrop of the Vietnam War,” said Coppola. “I’ve been watching video games grow into a meaningful way to tell stories, and I’m excited to explore the possibilities for Apocalypse Now for a new platform and a new generation. According to American Zoetrope, the Kickstarter crowdfunding campaign will be the first step in a three-year journey to give life to an interactive Apocalypse Now experience that accurately captures the tone, theme, and characters of the original film. As in the film, the game is set in the midst of the Vietnam War and players will take on the role of Captain Willard, who is on a secret mission to assassinate Colonel Kurtz. Throughout the course of the game, players will have the ability to make their own decisions independent of the original narrative. As players navigate through the unpleasantness of the Vietnam War, their reactions to each situation will result in consequences that will alter their journey as the story unfolds. Every decision matters, and each player will tell their own story. Game Director Montgomery Markland says they will create a game that challenges what an interactive experience can be, just as the original motional picture challenged the concept of cinema. “We are making a game that we are excited to play. We will deliver a greater variety of experience and interaction than is currently available within the relatively static industry,” said Markland. The Kickstarter is up and running with a massive bunch of rewards, along with a special message from Coppola himself. The rewards include an early access to pre-release versions of the game, limited edition Apocalypse Now-themed merchandise, and play sessions with the development team. Also early backers of the game can get access to props from the actual film. A select tier will have the opportunity to give critical feedback directly to the development team, and even take a trip on one of the Family Coppola Hideaway Adventure packages. 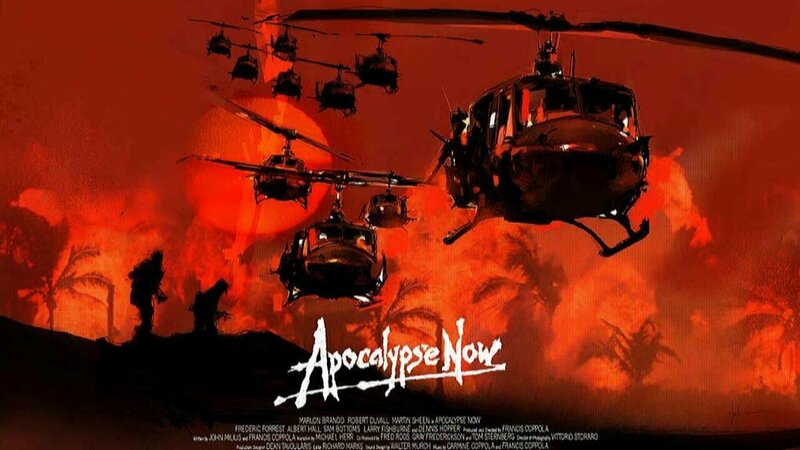 Apocalypse Now is projected to launch in 2020, with early access coming in 2019 to coincide with the 40th anniversary of the motion picture’s original release.